Hannity's America: "10 Reasons Not To Vote For Obama"
We are just about a week from the presidential election and after two years of covering the candidates, Sean makes his final case, laying out all the reasons why, in his opinion, Barack Obama is not ready to be president of the United States. Hannity will focus on Obama’s core group of radical friends and associates. Many of these radical Obama associates are also Jew haters. (Top left clockwise) Barack and Michelle Obama and radical Leftist anti-Israel Professor Edward Said at a May 1998 Arab community event in Chicago at which Edward Said gave the keynote speech. 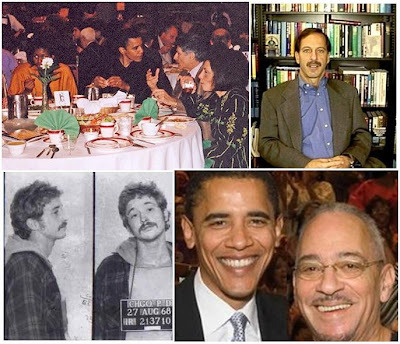 (Bill Baar’s West Side), Former PLO operative and close friend of the Obama’s Rashid Khalidi, Barack Obama and his racist minister Jeremiah Wright, and close terrorist friend William Ayers. More… Obama Knowledge has more on Barack’s close friends.